A class action lawsuit is one that is filed by one person or a small group against a large company. These injuries can be financial or physical. Regardless of whether someone is injured financially or physically, he or she can sue the company that is responsible. If a person has suffered a minor loss, then it may not make sense to file a lawsuit. The financial compensation that a person can get may not exceed the legal cost. However, if several people file a lawsuit, then it would make financial sense. Most lawsuits that we cover on this website are class action lawsuits. Class action lawsuits provide relief to many people who have been wronged by a corporation. These lawsuits are filed on behalf of everyone who was injured in the same way. This means that a person may be able to get compensation even if he or she did not file a lawsuit. In 2009, Michael Katz filed a lawsuit against Live Nation. He stated that the company added parking fees and other charges when he purchased tickets for a concert. Any person who made a purchase from Live Nation from June 23, 2003 to June 15, 2011 was eligible for compensation. The lawsuit was settled several years later. People who were eligible for compensation were able to get three free concert tickets. The purpose of a class action lawsuit is to provide compensation for people who have suffered financial or physical harm as the result of a wrongful or illegal act. Lawsuits can be filed against mortgage companies, debt collection agencies, food companies and insurance companies. 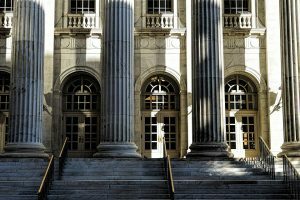 You can sue the United States government if you have suffered physical or financial injuries as the result of wrongful or negligent acts by government employees. You can also file a class action lawsuit if you used defective equipment that is owned and operated by the federal government. Additionally, if government property, such as post offices or national parks, is negligently maintained, then one can file a lawsuit against the government. In order to file a lawsuit against the government, you or your attorney must submit a written claim to the federal agency.